Please click on the images for further information. 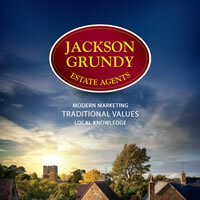 Welcome to Jackson Grundy, local Estate Agents and property experts. This site is continually updated on a live basis to give you up to the minute access to the most current property For Sale and To Let in Northampton and the wider county. Designed to make your search for a new home as easy as possible, you can also use this website to request a viewing, contact your local office or register for a FREE, no obligation valuation of your existing home. So, should you have any queries about buying, selling, renting or financing your new home, please do not hesitate to contact our experienced staff who will be delighted to assist you. Your custom is, and will be, appreciated.